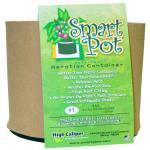 1 Gallon Smart Pots are eco-friendly and effective fabric pots. These soft growing containers are more productive than plastic pots because they allow air to reach the soil and roots, improving drainage and keeping the root system from overheating on hot days. Smart Pot's design also allows the air to prune the plant root structure and prevents plants from becoming root-bound! These pots are available in black and tan. 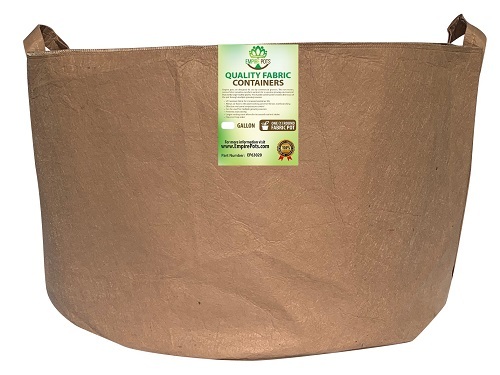 The dimensions of these 1 Gallon containers are 7”W x 5.5” T. Therefore, these pots will hold approximately 0.1 cubic feet, or 3.7 quarts of soil. 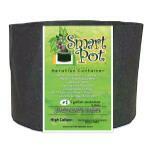 Buy 1 Gallon Smart Pots at wholesale prices!